MyBookie has earned a pretty strong reputation as a quality online sportsbook and casino that caters to newer USA players. They offer one of the most user-friendly betting interfaces online, a wide assortment of betting options and a fully integrated casino. The customer support is really good as well. The promotions are plentiful and actually pretty decent. The guys over at GoodSportBooks.com have a pretty solid review of Mybookie which you can see here. So let’s get to it. We have our top Mybookie promo code “GOOD2019” that is valid all of 2019 for new depositors. There are other bonuses you can take advantage of as well throughout the year which we strive to keep up to date down below. New improved offer for NBA 2018/19 season. 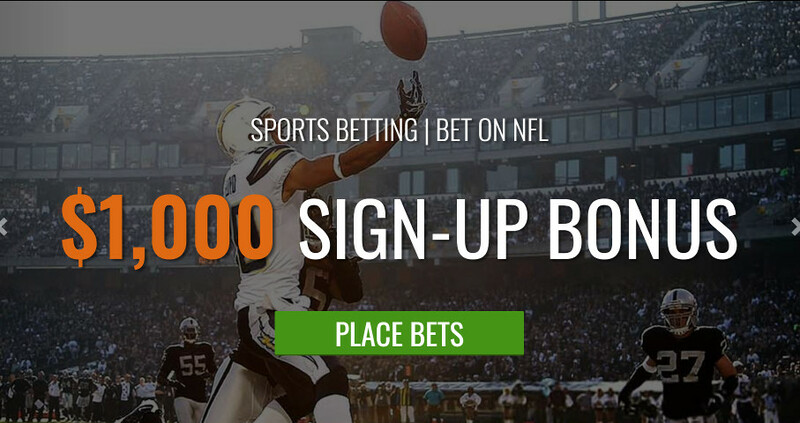 Brand new bettors to Mybookie get a $20 risk free bet. Here’s how it works: To claim this risk free bet, you have to email ‘promo @ mybookie.cr or call customer service. If you lose your 1st wager, Mybookie will give you a $20 bet. New casino players can take advantage of a 150% match to $750 for use in the casino. 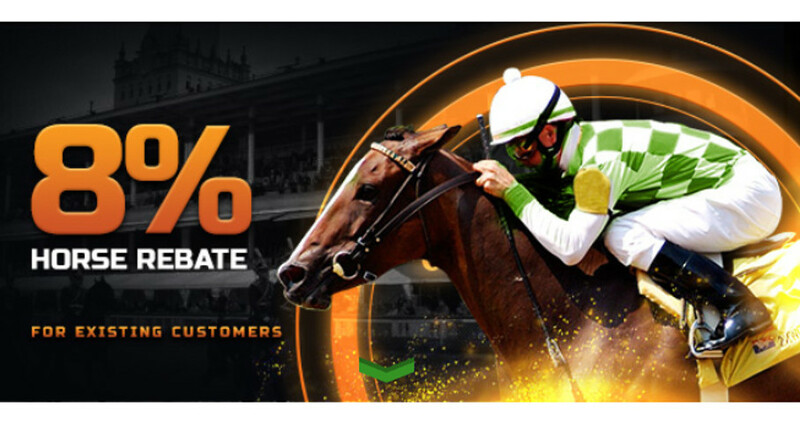 8% rebate on horse bets. No codes needed for this one! Simply tell your friends about Mybookie and receive 100% match bonus on their first deposit up to $100. You can do this as many times as you want. Don’t hog all the fun over at Mybookie. Bring everyone you know with you! Management reserves the right to determine whether or not a referral is legitimate. Get yourself a 10% Rebate Bonus for any gameplay during each Monday of the week. The maximum rebate that can be collected by any player is $100. Rebate money will expire a month after it is credited to the account. Players will receive the bonuses into their Casino Bonus Tab automatically the following day. The bonus is only applied to players who have had any Casino losses during Monday of a particular week. The maximum rebate will be $100. The bonus is redeemable once per week. Live dealer games do not count. Using the code MEGATUESDAYS offers a 400% Casino reload bonus up to $1,500 on deposits of $45 or more made every Tuesday of the week. All players are eligible for the bonus and must use the promo code from the Cashier page in order to redeem it. This offer is available to players who have previously made an initial deposit. The Casino bonus only applies for real money deposits made on Tuesdays from 1:00 AM until 11:59 PM. You can use this more than once on a single Tuesday. All of the regular Terms and Conditions will apply. You can get this bonus just by making a deposit of $45 or more on a Wednesday and get yourself up to 50 Free Spins! Make a deposit on a Friday and choose which bonus you’d like to take advantage of. Option 2 – use the code RELOADFRIDAYMB and receive a 150% Casino Reload bonus of up to $1000 with a deposit of $100 or more. Option 1 has a 40x rollover requirement on any free spins winnings with a max payout of $3oo. Option 2 also has a 40x rollover from the bonus money + the original deposit amount. This bonus requires a 50x rollover + 1x the original deposit. Play yourself some Blackjack on Friday and you can win $1,000 even if you lose. Place a wager of $25 or more. If you’re dealt two Kings of Spades in your first hand, and the dealer gets a Blackjack in the same game, you will win an extra $1,000. After the Casino department confirms the game result, the $1,000 will be deposited to your bonus funds. Promo only applies on wagers of $25 or more, and split hands do not qualify. If you’re on a winning streak you may as well have something else to brag about! Hit on 10 consecutive winning wagers and you’ll earn yourself a Free $25 bet. 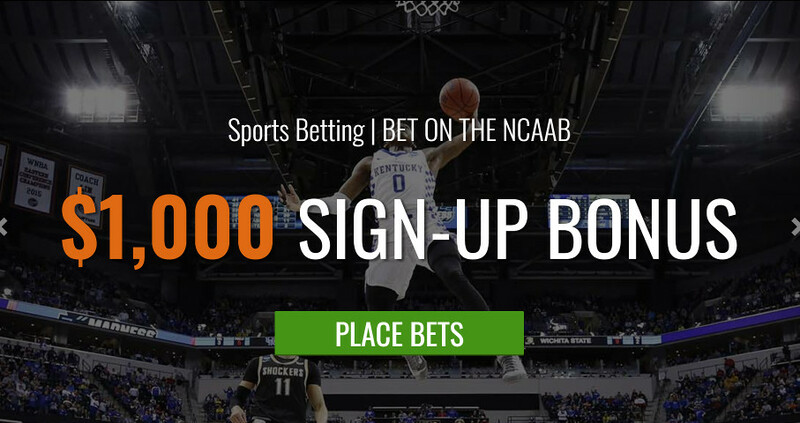 If you keep the streak going to 20 winning wagers you’ll get another $50 Free Bet! Get stuck in a rut and find yourself on a losing streak? It happens to the best of us and MyBookie will still have you covered! This time, if you lose 10 consecutive wagers they’ll hook you up $25 to get you back in the game! To claim this promotion, you must send an email to promo@mybookie.cr. We all have those nightmares where we take a bad beat in a bet. It happens to the best of us. If you happen to lose a sure MMA or boxing wager in the first round, you may qualify for the Bad Beat Special offered by MyBookie. Applies only on Straight Wagers. Parlays, Teasers or any other bet type will not apply. Funds will be added to the player’s accounts as FREE PLAY with a 5x roll over. We’re gamblers. Part of this comes with the fact that we may be faced with a big loss at some point. Sometimes you win big, other times, not so much. MyBookie will give players an extra chance to recover from a monster loss by crediting them with one average bet. Players that lose 20 consecutive bets qualify. Parlays, teasers, reverses, “if” bets and all multiple-selection bets count as a single play. Multiple wagers on a single event are called ONE wager only. While playing Blackjack (any version! ), hit a 21 with three diamond-suited 7s, and MyBookie will give you an additional $500 Casino bonus. A 40x playthrough requirement will apply. Did you make a bet on the phone, but it got messed up somehow? Don’t worry. MyBookie has your back! Report the mistake and they’ll make sure to correct your bet and award you a $20 free play for the inconvenience. They’ll verify that the wager you placed on the phone was entered incorrectly. After reviewing the phone call, we’ll mend the mistake and credit you with a $20 free play. Get yourself an immediate 8% rebate on Blackjack losses on hands you played on the 21st of each month (midnight to 11:59 PM ET). Contact MyBookie on the 22nd if you have any cumulative Blackjack losses from the 21st, and we’ll credit the rebate. There is just something that I like about Mybookie. The interface is clean and easy to use. It is easy to make a bet and easy to find the latest lines. The customer support is pretty good as well. I have to admit, they really do offer an engaging, user friendly sportsbook and casino. I personally like the live dealer casino that you can check out once you register your account. Here are the details of their current promo’s. Mybookie is a quality online sportsbook that caters to the medium and small sized bettors. 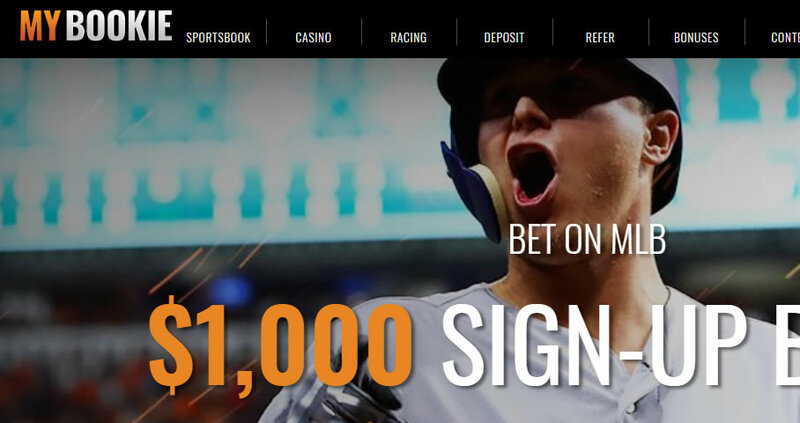 If you are looking for an entertaining, high quality sportsbook with top notch customer service and a host of on going promotions then Mybookie may be just right for you.